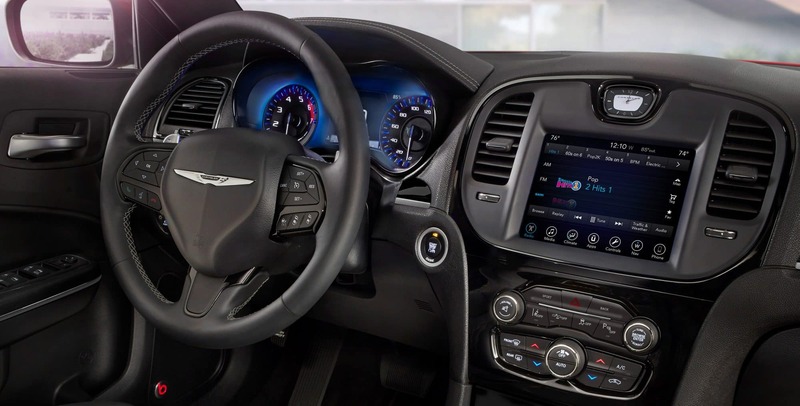 With the 2018 Chrysler 300, from inside you will hear just the thing you want to hear, like your radio or a phone call. Roll the windows down though, and you will once again hear the sharp rumble of the powerful engine. For this model year, the 300 has switched a few of its trims and features around for better access to the things you love most. Some of the available features would be the adaptive cruise control, forward collision warning, and the two premium sound system options. What are each trims' features? The starting trim of the Chrysler 300 in 2018 would be the 300 Touring. This trim comes with features like heated mirrors, an 8.4-inch touchscreen, two USB ports, Apple CarPlay and Android Auto, a rearview camera, dual-zone automatic climate control, 17-inch wheels, Bluetooth connectivity, a six-speaker sound system, HD and satellite radio, keyless entry and ignition, a leather-wrapped steering wheel, and an eight-way power adjustable driver seat. The 300 Touring L trim comes with additional heated front seats, 18-inch wheels, leather upholstery, and a power-adjustable passenger seat. 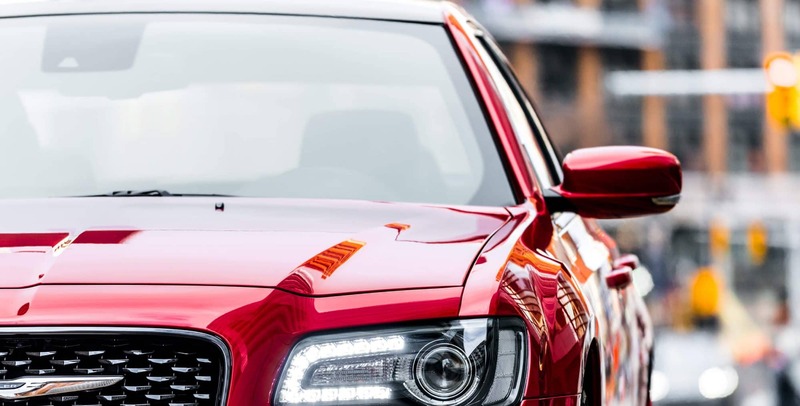 The 300S trim adds 20-inch wheels, heated and power-adjustable front seats, LED foglights, remote start, leather upholstery, a sport-tuned suspension, and transmission paddle shifters. 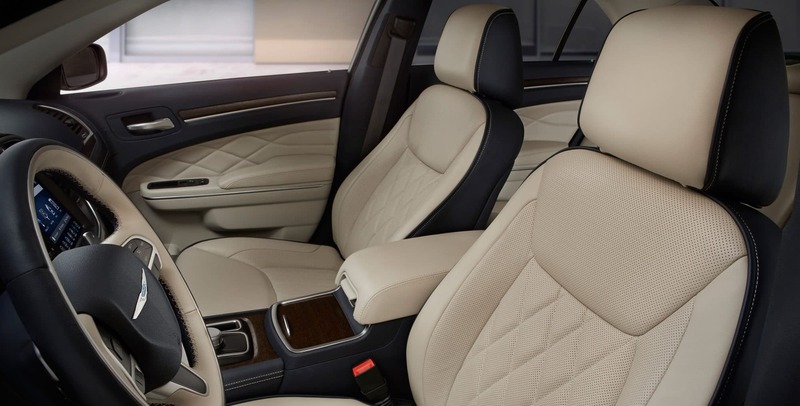 The 300 Limited then adds heated rear seats, an auto-dimming driver side mirror, driver-seat memory settings, heated and ventilated front seats, and a power-adjustable heated steering wheel. The final trim is the 300C. 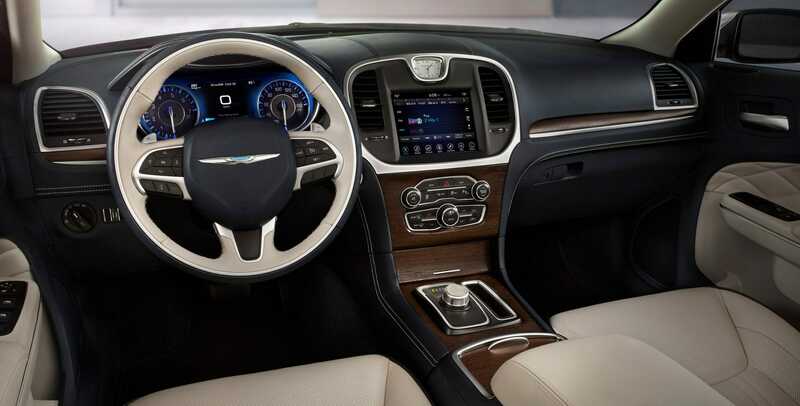 The 300C comes with 20-inch wheels, heated and cooled cupholders, a 19-speaker Harman Kardon system, upgraded leather upholstery, adaptive xenon headlights, an upgraded steering wheel, and a touring-tuned suspension. Multiple packages are available at different trim level options. Which engine options are available? 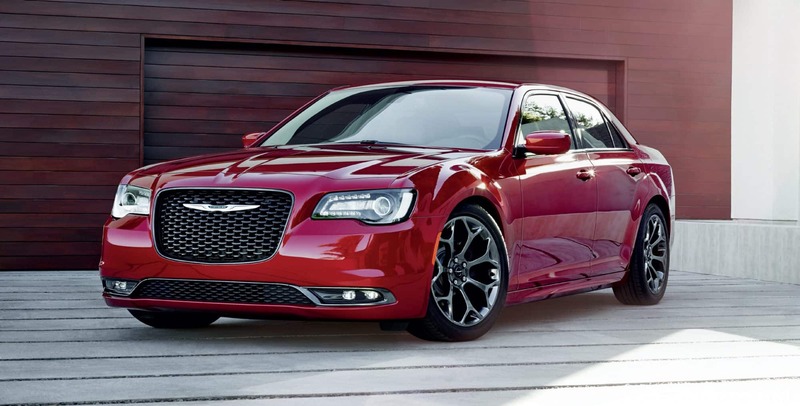 The two available engines for the 2018 Chrysler 300 would be the standard 3.6-liter V6 and the optional 5.7-liter V8. 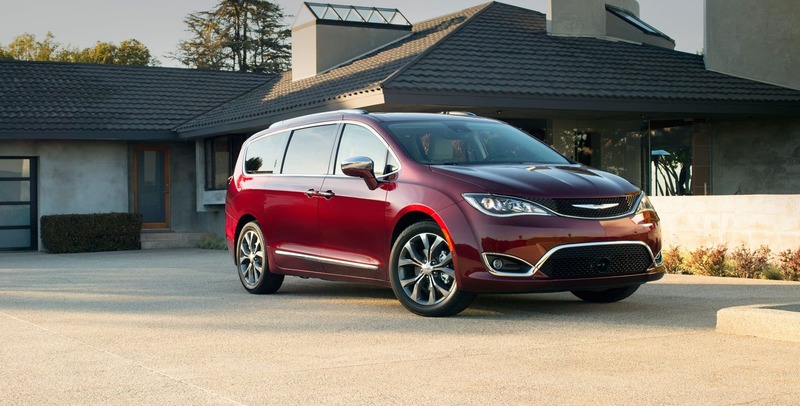 The standard engine is capable of producing up to 292 horsepower and 260 lb-ft of torque. 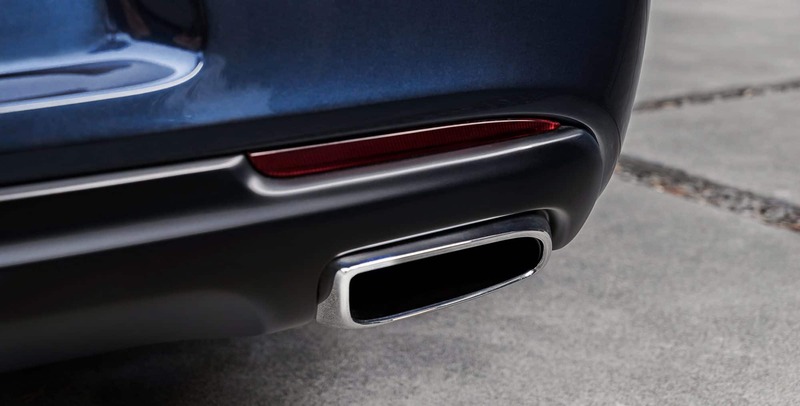 With the 300S trim, this engine can reach up to 300 horsepower and 264 lb-ft of torque. The EPA has given this engine an estimated rating of 19/30 mpg fuel economy. This engine can be available as a rear-wheel drive or an all-wheel drive. The second engine is rear-wheel drive with the ability to produce up to 363 horsepower and 394 lb-ft of torque. Both of these engines are mated with an eight-speed automatic transmission. 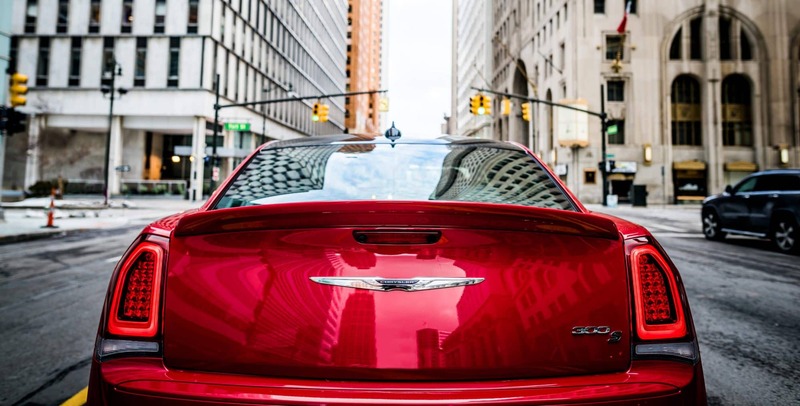 Many safety features are available on the Chrysler 300. 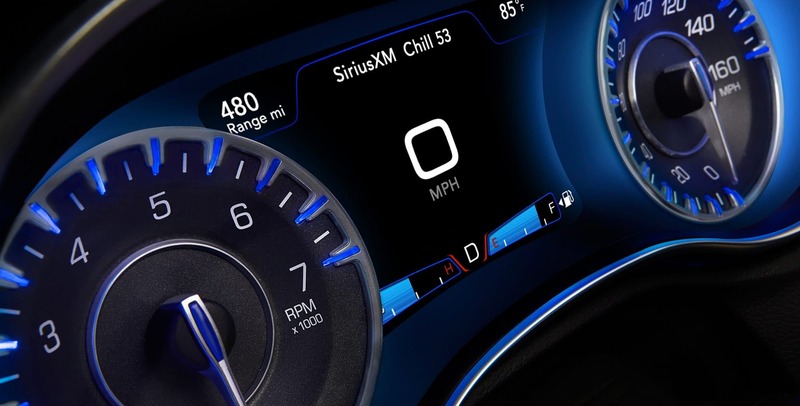 Some of the more well-known features would be Bluetooth, a rearview camera, keyless entry and ignition, heated mirrors, a tire pressure monitoring system, multiple airbags, front-passenger seat belt alert, electronic stability control, ready alert braking, rain brake supports, all-speed traction control, hill start assist, LATCH, and a sentry key theft-deterrent system. Additional available features would be the Safety Tec Plus package with full speed forward collision warning, lane keep assist, auto-dimming mirrors, adaptive cruise control, lane departure warning, rain-sensing windshield wipers, navigation, parking assist, active braking, and a security alarm. 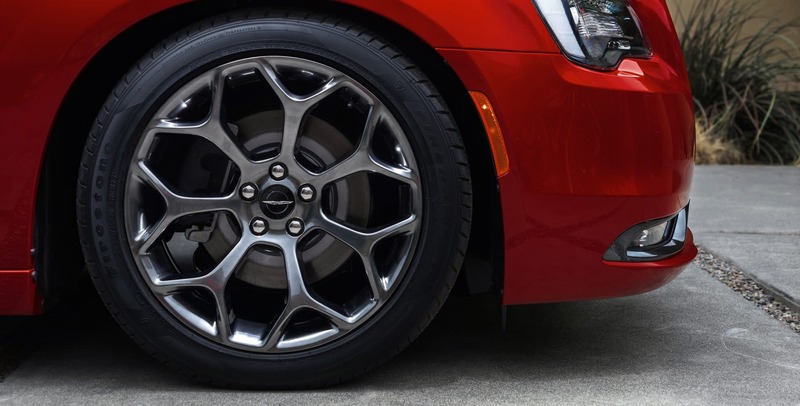 If you have any further questions about the 2018 Chrysler 300 please give us a call or send us a message. We would love to help you in any way we can. If you are interested in taking a 300 for a spin, please stop by the lot. We can easily get you behind the wheel and show you all of the ins and outs.